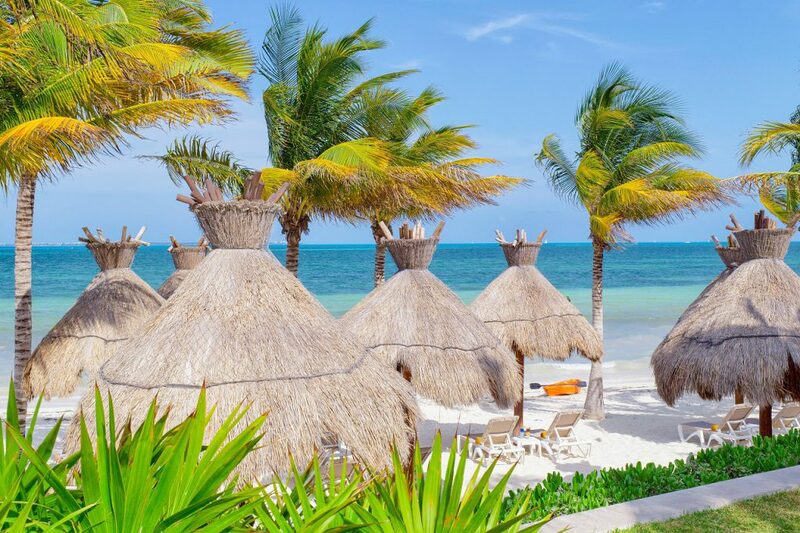 If you are going to be using your membership to stay in Cancun during the second weekend in May, than you already have the perfect setting to create the very best Mother’s Day surprise. Make this year an experience she’ll never forget by treating your mom to some of the most indulgent Mother’s Day experiences on the planet. Not only will she be left feeling like a queen, but you’ll have the satisfaction of giving her a gift that she so surely deserves. 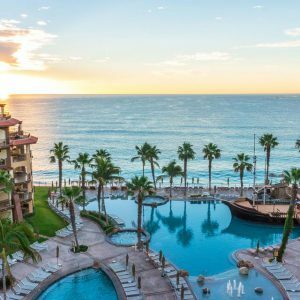 Here are some tips on great treats for you mom, most of which you could adapt to your hometown if Cancun is not on the horizon for Mother’s Day this year. Get an amazing start to the day by surprising her with a delicious breakfast on the balcony of your suite at Villa del Palmar Cancun. Not only will she get to witness one of the most amazing sunrises in the world, but she’ll be able to indulge in the decadent flavors of a Caribbean breakfast. Have room service deliver a traditional Mexican breakfast of Chilaquiles and Eggs a la Mexicana or opt for a lighter platter of the freshest tropical fruits available. This is easy to achieve at Villa del Palmar Cancun by treating your mom to a spa treatment at the Village Spa. 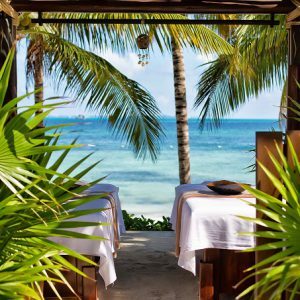 Invite her to spend the afternoon indulging in a Guardians of Beauty Oceanic Facial or one of the many Mayan rituals that will put a unique twist on her day. 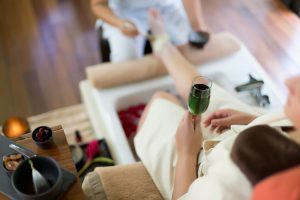 There will also be a number of complimentary sample treatments like mini manicures and neck rubs offered by the Village Spa’s therapists in honor of all mothers during Mother’s Day this year. Rent a private yacht and surprise your mother with a memorable cruise along some of the clearest waters in the world. If she likes to dive or snorkel, why not include a trip to see the MUSA underwater museum where sculptures have formed man made reefs. She’ll be in awe of the breathtaking scenery, crystalline waters and the royal treatment she’ll receive aboard the once-in-a-lifetime experience. Take your mom on a shopping spree that will satisfy that insatiable urge to shop! With so many unique boutiques and souvenir stores in Cancun, she’ll be able to find the perfect keepsake to mark this incredible day. You could join her with your credit card if you like to shop too or give her a set limit to spend on herself and set her free in the shopping mall. 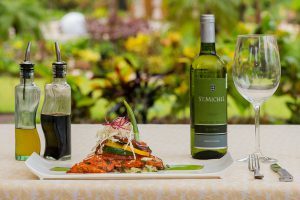 Indulge in a decadent feast at one of Cancun’s most luxurious restaurants or treat her to a special meal at her favorite Villa del Palmar Cancun restaurant. You could also consider treating her to a private chef dinner in your suite. Order a bottle of wine with dinner and toast to the amazing woman, mother and friend that you have by your side! The resort reserves the right to change, alter or terminate the event schedule at any time with or without notice. Upon arrival, please see staff at the resort for additional details.